1. Compatible with: Li-ion(4.2V/4.35V) IMR/INR/ICRLiFePO4 (3.6V)Ni-MH/Ni-Cd (1.48V). 2. Compatible rechargeable battery models: 10340, 10350, 10440, 10500, 12340, 12500, 12650, 13450, 13500, 13650, 14350, 14430, 14500, 14650, 16500, 16340 (RCR123), 16650, 17350, 17500, 17650, 17670, 18350, 18490, 18500, 18650, 18700, 20700, 21700,22500, 22650, 25500, 26500, 26650, A, AA, AAA, AAAA, C, SC. 3. 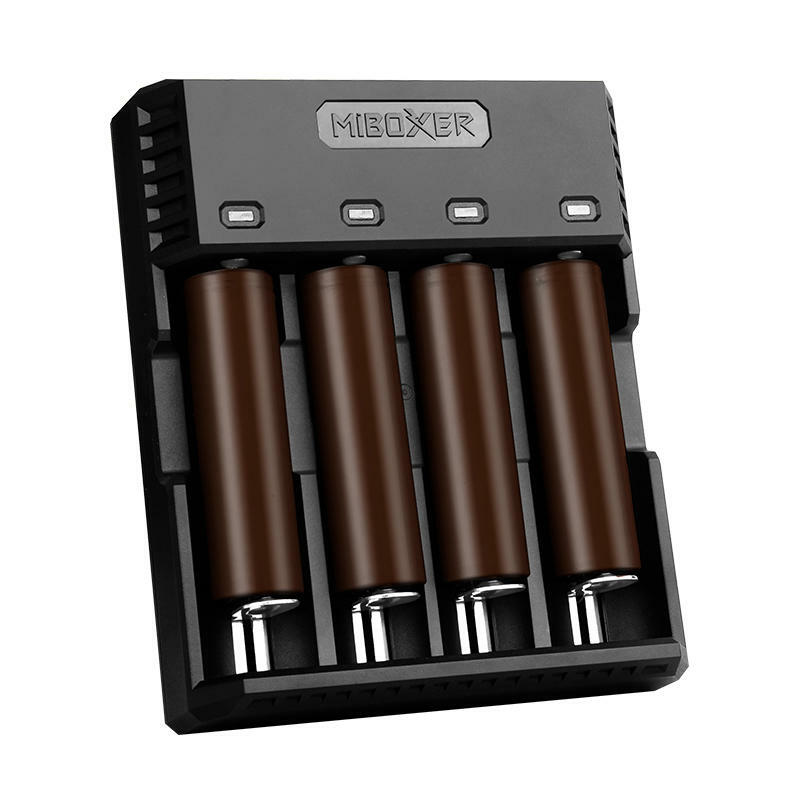 Automatically detects battery status, selects charging mode, charging voltage and current to make charging safer. 4. Made of PC + ABS fireproof material and has the characteristics of heat resistance and low temperature resistance. 5. Can charge different rechargeable batteries at the same time. CE, FCC, ROHS certification. 6. Maximum 1.5A/channel fast charging. 7. Supports 4 channels simultaneous independent charging without affecting each other. 8. With reverse-battery and short circuit protection function. 9. Supports small capacity battery charging. 10. Excellent heat dissipation design. 11. Excellent electronic circuit design.